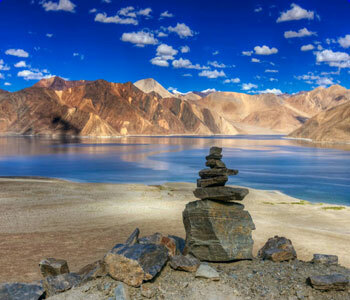 About Pangong Lake Pangong Tso is an endorheic lake in the Himalayas situated at a height of about 4,350 m (14,270 ft). 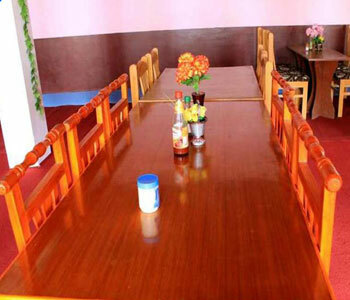 It is 134 km (83 mi) long and extends from India to Tibet. 60% of the length of the lake lies in China. The lake is 5 km (3.1 mi) wide at its broadest point. 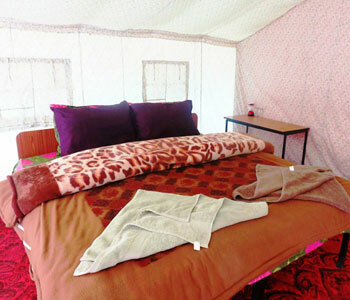 All together it covers 604 sq. km. During winter the lake freezes completely, despite the water being saline. Flora, fauna and geography: The Lake acts as an important breeding ground for a variety of birds including a number of migratory birds. During summer, the Bar-headed goose and Brahmini ducks are commonly seen here. The region around the lake supports a number of species of wildlife including the kiang and the Marmot. 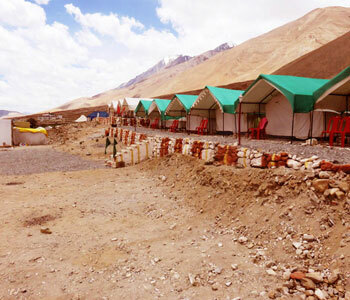 Formerly, Pangong Tso had an outlet to Shyok River, a tributary of Indus River, but it was closed off due to natural damming. Two streams feed the lake from the Indian side, forming marshes and wetlands at the edges.Strand lines above current lake level reveal a 5 m (16 ft) thick layer of mud and laminated sand, suggesting the lake has shrunken recently in geological scale. 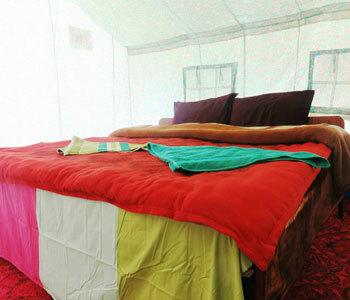 Well furnished Tents with Double Bed. 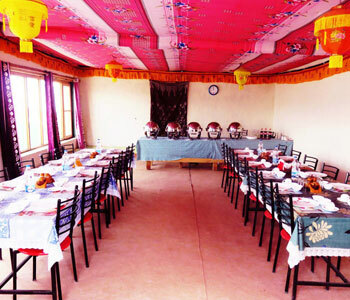 Restaurant with Ladakhi, Indian, Chinese and Continental food.